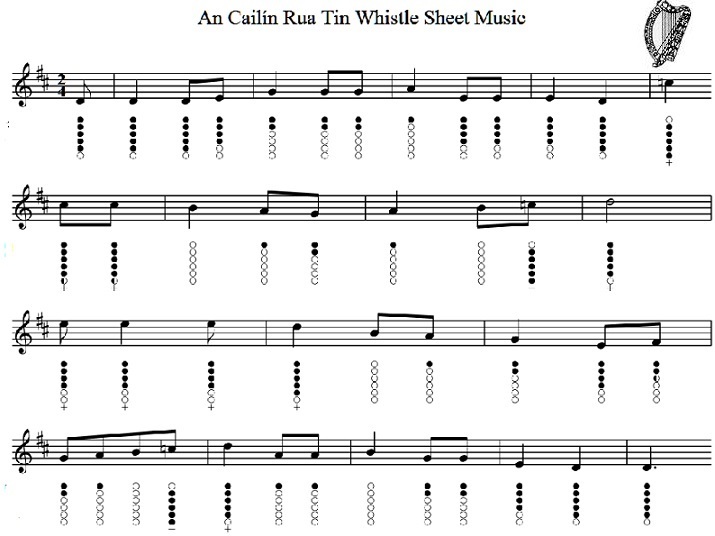 An Cailín Rua Sheet Music For Tin Whistle. An as Gaeilge love song. Key of D Major.